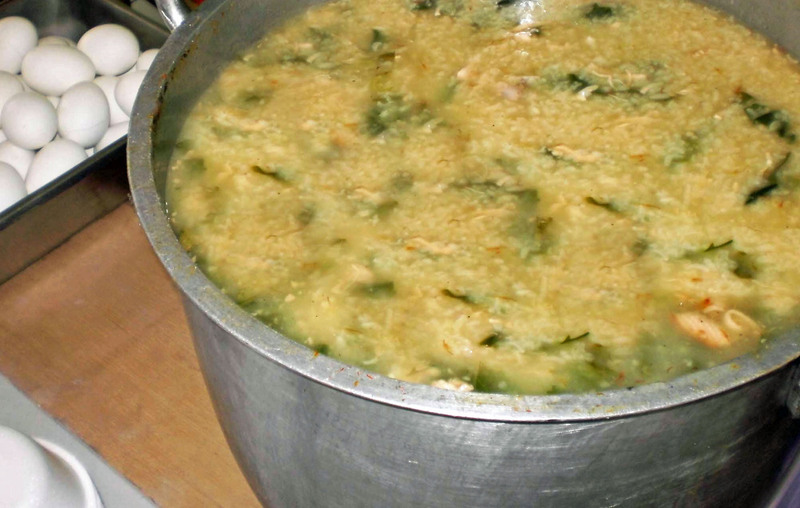 food news: LUGAW ALL YOU CAN! Last Sunday, March 27, 2011, the Holy Family Parish Church in Parang, Marikina, Philippines have launched their fund-raising project called “Lugaw All You Can”. The strategy of the project has its similarity in an “Eat All You Can” restaurant. Bottomless “lugaw” per se’, as long as your stomach can handle it. 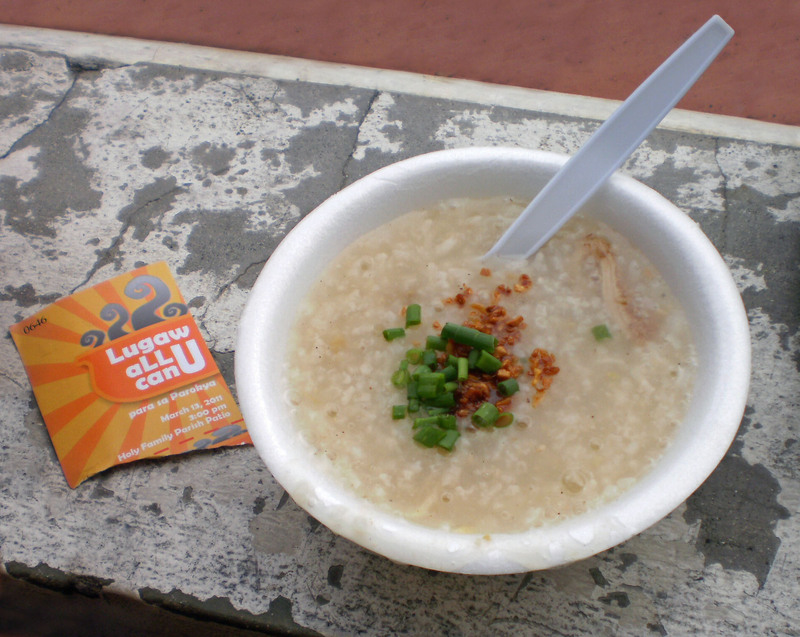 “Lugaw” is the same as “Goto” and a Filipino term for “Arroz Caldo” or simply means as a rice porridge. The “lugaw” comes in beef, in pork, and with egg… whatever the parishioners want to have on their porridge and with some spices included. The ticket for the said project only costs one hundred pesos (Php 100.00) per person. 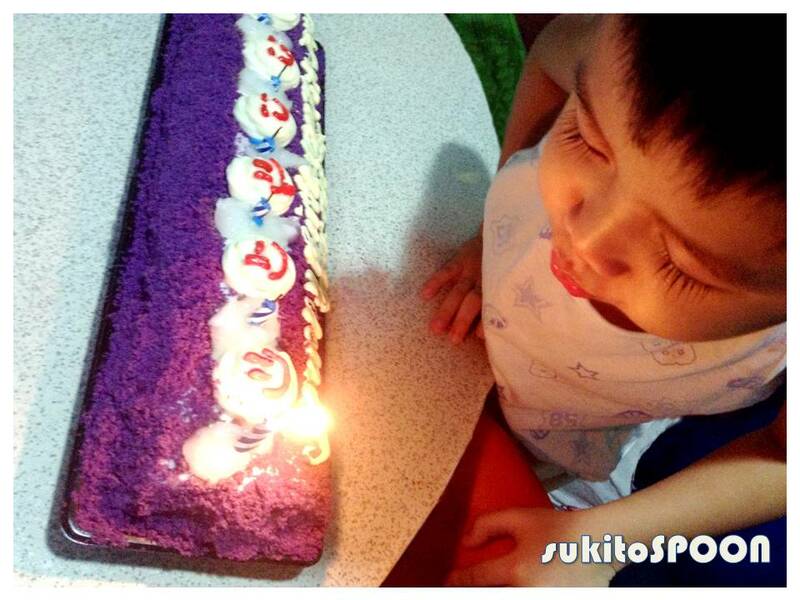 The proceeds will be used for the projects and the utilities of the mentioned church. In a good way,”Lugaw All You Can” is feeding your tummy and your soul by means of helping at the same time. It simply means, hitting two birds with one stone.